Make this birthday extra special with our Musical Happy Birthday Mickey Mouse Bean Bag Plush. 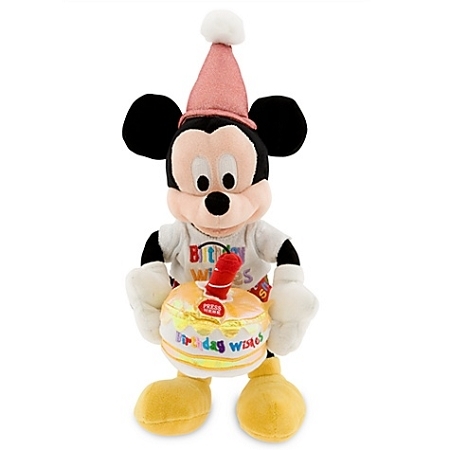 This Mickey stuffed toy holds a special birthday cake embroidered with ''Birthday Wishes.'' Just push the button to hear it play Happy Birthday to You! Plays Happy Birthday to You!